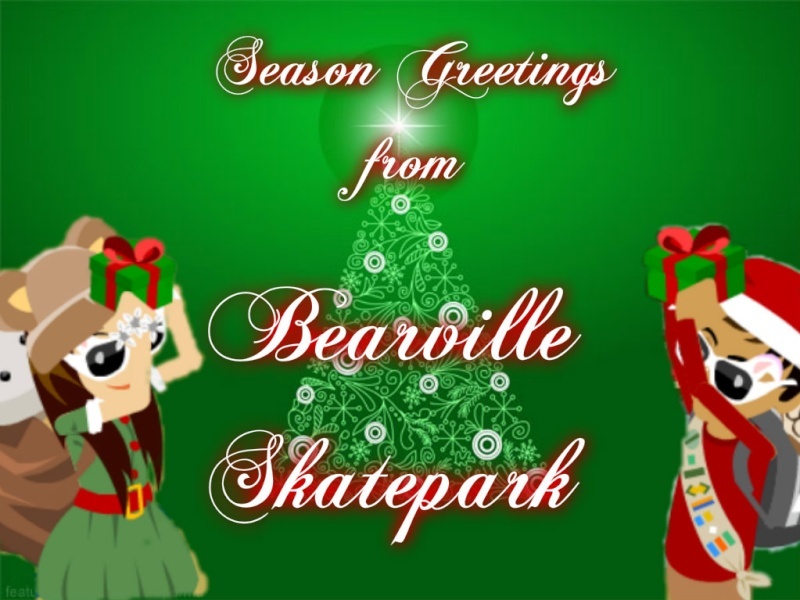 Hello and welcome to Bearville Skatepark! If you're a guest, please sign up! It's easy and free! Thu Jul 16, 2015 8:13 pm by Anna. » Post Before Marina Posts! » Post before a GA posts! Sat Jan 17, 2015 5:08 pm by Anna. » Post before a mod posts! Be sure to sign up here if you haven't already done so! Please sign and agree to the rules before using BSP here! Check out our sister forum, Bearville Rainy Days! Please sign these rules before using Bearville Skatepark! Check here for recent news and changes to BSP! If you're new, say hi to other people and get to know them here! Come here to get help on anything related to Bearville! Trading help goes in the appropriate forum. Put on and participate in contests here to win cool prizes! Host events and other things here! Want to start a trading thread? Do so here! Is there an item you really want? Make and post your BV wishlists here! If you have an item you want to trade but you don't want to start a trading thread, here is the place to go to trade it! Need trading help? Get it here! Come here to make & play games! Create and join Groups and Clubs here! Create and share your poems here! Show off your cool graphics here! Show off your style here! Did you make a video? Find a good one? Post it here!